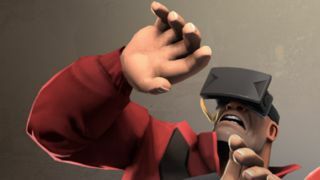 A new, "realistic" Oculus Rift headset is on its way, according to an Oculus VR investor, backing similar information recently revealed to TechRadar. This means that the Crystal Cove Dev Kit 2, which will soon be available to buy, is already well behind the times in both capabilities and design. Investor Chris Dixon said that while Crystal Cove still doesn't quite reflect reality, "what they have in LA does." "Crystal Cove is 50% of what they are running in LA," he said. The new "fancier" headset supposedly demands an entire dedicated room due to the amount of power it requires right now. "You go into a room. It's a special room," Dixon told Business Insider. "In user testing it gets to a level to a level of realism where almost all people feel that it's realistic." An inside source recently told TechRadar that work on the next headset had begun well before Dev Kit 2 was announced, although couldn't divulge any of the exact specs. Meanwhile, a separate Oculus rep said that the Rift could go on sale to consumers next year. Guess we won't be getting it in time for Christmas 2014 after all. Maybe Sony can get in there first with Project Morpheus?